Do you have all the parts on your website in stock? We only have so much storage space. Although we stock more parts than nearly any other Honda dealer in the Midwest we still may have to obtain items from our Honda Warehouses. Generally this can add 1-3 business days to any order before we can have the part on its way to you. Obscure or slow moving parts may require additional time. How will my parts be shipped? We ship orders via UPS. We cannot ship to PO Boxes, and we cannot ship HAZMAT items, such as batteries or fluids. When will my parts arrive? Most orders will ship out to you within 36-48 hours Monday – Friday. Due to our inventory being spread across a number of Genuine Honda Parts warehouses there can be delays in getting your items shipped out to you. Express shipping is offered at an additional cost and will usually shave 1-3 days off of the shipping time. Older vehicles and obscure parts may encounter extended delays in shipping. If you urgently need a part please contact us to get a shipping estimate. Do you ship outside the US? Unfortunately, we do not offer any shipping options outside the United States. Do you offer combined shipping? Yes most definitely! Honda Parts Network offers one of the most robust and accurate shipping calculators for Honda Parts in the industry. There will be times when we will not be able to combine your order into 1 single shipment due to size or weight restrictions. This cost will be reflected at the time of purchase. Can I pick up my order in store? Yes, orders can be picked up locally! We are located just west of Chicago, IL. Local pickup will be displayed as a shipping method on orders over $5.00 with billing addresses in Illinois, Indiana, and Wisconsin. Our Parts Counter is staffed from 9am–9pm Monday–Friday and 9am–5pm Saturday. The pickup address is 4475 Lincoln Ave, Lisle, IL 60532. My part didn’t arrive at all, now what do I do? If your order hasn't arrived please let us know as soon as possible (888) 580-4824. We will work with you and the carrier to get the problem resolved right away. Can I return my order? We accept returns on most items within 30 days of purchase. We cannot accept returns on electrical items including ECUs, switches and sensors. We will not accept returns on parts that have been opened or re-sealed. All parts must be returned in their original/ un-tampered with packaging. We reserve the right to refuse any return. Returns that are accepted are subject to a 20% restocking fee. Due to our low pricing structure this is the only way we can continue to operate and still offer the great discounts we do. Shipping will not be refunded and must be paid by the buyer. My part arrived damaged now what do I do? If your order arrives damaged please let us know as soon as possible (888) 580-4824. We will work with you and the carrier to get the problem resolved right away. How can I pay for my parts? We take all major credit cards registered within the United States. PayPal is our credit card processor. You do not need a PayPal account to buy parts or to checkout. Do you charge sales tax? We only charge sales tax if your shipping/ billing address is within the state of Illinois or if you choose in store pickup. No tax will be charged on orders located outside of Illinois. What is a Core Charge? A Core Charge is sometimes applied to orders for specific parts that we offer additional discounts on if you send back the replaced, serviceable original Honda part. Items such as Axels, Brake Calipers and Brake Master Cylinders may at times apply a core charge to the order. Once the original part is returned this core fee will be refunded to same source as your payment method. Shipping costs are the responsibility of the buyer. Do you sell genuine OEM Honda Parts? 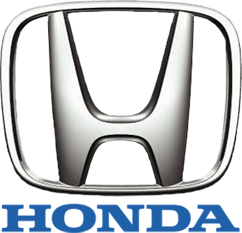 Yes, we are an authorized Honda dealer serving the Chicagoland area since 1978. We sell only OEM Honda Parts and Accessories. Is there a warranty? With the exception of general maintenance items (items that are cleaned or adjusted as part of normal owner maintenance), batteries and mufflers all parts carry a 12 month warranty against manufacturer defect. Mufflers carry a limited lifetime warranty. All items will be inspected and if a manufacturer defect (in material or workmanship) is found we will repair or replace the item free-of-charge. Shipping will still be the responsibility of the buyer.